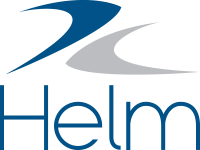 Once you begin using Helm CONNECT, it won't take long to build up a large collection of templates for the different types of work your crews perform. When this happens, the tips below will help you organize your templates and find the ones you want to work on. The filters near the top of each tab in Templates, on the Setup menu, can help you narrow a list of templates to just the ones you want to see. Once you apply a filter, the system will only display results that meet the conditions of that filter. To apply a filter, simply click in the field and enter the type of information you want to see. Although you can apply multiple filters, keep in mind that if you apply too many, the system might not be able to find any results that meet all your conditions. ExampleLet's say you only wanted to see the maintenance weekly templates for the WWT Defiant. In that case, on the Maintenance tab, you would select WWT Defiant from the Asset filter and Weekly from the Frequency filter. Once you find a combination of filters that meets your needs, you can leave them in place and the system will remember them, even if you click away from the tab or log out of Helm CONNECT. When you're ready to remove the filters, click Clear selected filters. You can customize any list of templates by deciding which columns you want to see and which ones you'd rather hide. On any of the tabs in Templates, on the Setup menu, click the Column Selector icon then select which columns you want to hide or show. You can rearrange the order of your columns by clicking the little icon to the left of any column name, then dragging it to a new location. You can also change the size of a column by hovering your cursor between two columns until you see the double arrow icon, then dragging the column border either to the left or to the right. The system will remember your column settings, even if you click away from the tab or log out of Helm CONNECT.